Before we get to SMS geofencing, let’s first understand what geofencing is and why businesses use it. As so many people walk around with their iPhones or Android phones, businesses have realized the importance of using these phones’ smart technology for their own good. Geofencing was created in response to people’s high engagement rates with the company via their mobile phones. It is a location-based service, where software or an app uses GPS, WiFi, cellular data or RFID tag to create a programmed action once the mobile device enters a specific location. This location is a virtual boundary, which is known as a geofence. Businesses use geofencing to engage their customers once they enter their geofence, a predefined geographical location, by sending relevant messages, alerts, advertisements on social media or push notifications directly to their smartphones. Geofencing is also used to monitor the area. Some businesses track and monitor activity when people enter or leave their geographic location, a mall, neighborhood, or store. In fact, some companies even use geofencing to monitor their employees, keep track of the property in the store and automate time cards. So how does SMS geofencing works? This type of campaign is not used virally, although it should be. 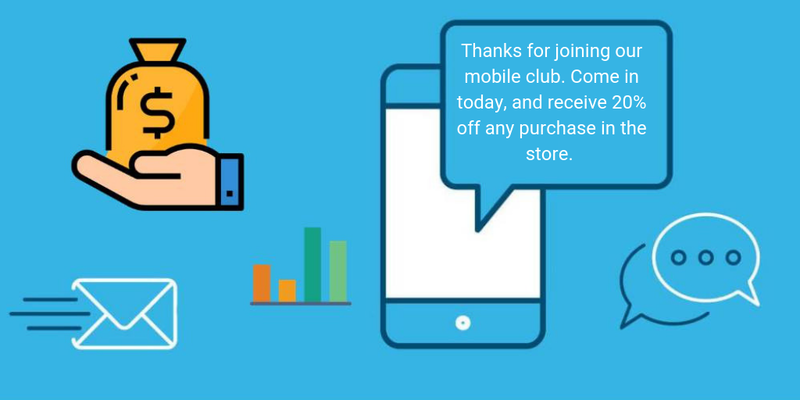 It attracts customers to your store by leveraging the power of mobile. In fact, back in 2013, a survey revealed that 47% of mobile users want their favorite retailers to send them an offer while they are nearby a retailers’ location. Yet, SMS geofencing campaign is little-known and used but it can be a great way to boost your sales and engagement rates. How Does SMS Geofencing Work? First thing first, you need to get people to subscribe to your SMS campaigns and then invite them to join your SMS geofencing list so that they allow you to track and use their location. 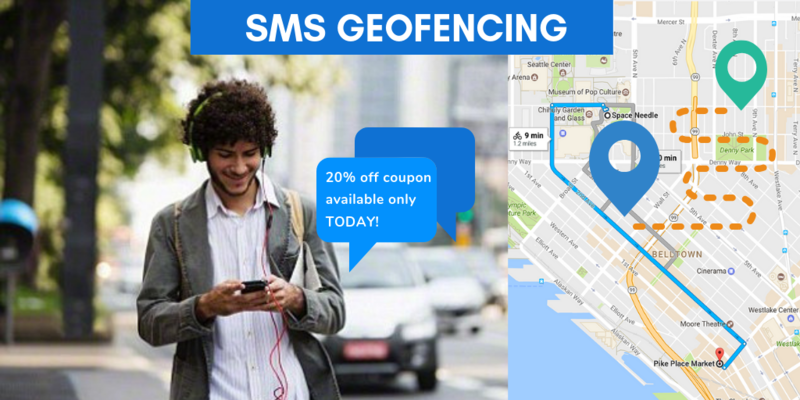 If you are running an SMS geofencing marketing then most probably you have already established your store radius. So now that you have set your geofence and convinced people to opt-in to your texting services, you can start tracking people in the radius you have established. When customers enter the radius, they will get a message straight to their mobile. The messages people get are usually pre-programmed. So once a person appears in your geofence, he or she gets an automatic text alert. The message will contain a special promotion or discount, or any other deal which will motivate the person to visit your store to make a purchase. When the person opts into your SMS geofencing, while in the store, you can already implement the power of texting services. Drop them a message offering them a 20% discount if they visit your store again in the next 2 or 3 days. Every time your subscriber is in the nearby of your store, you’ll be able to leverage the power of geo-tracking and engage customers to make a purchase. Create a precise and hyper-local geofence - geofencing doesn’t work well on a big radius. It’s best to establish a radius territory that is not too far away from your store’s location. Ideally, geofencing is best executed if your set radius is small and people can reach the store within five minutes of driving. Perform an A/B testing - there is one size fits all marketing campaign. However, when you are using mass SMS texting, you want to create an ad or a message that will be attractive for the most. So make sure to test different types of content and play around with your campaigns. For example, if you own a small coffee shop, you may find out that a free cup of hot drink is more engaging to people than a free croissant. Also, don’t forget to test the location of your geofencing, especially if there’s a direct competitor in the nearby place. You want to set a location that will be competitive and which won’t get mixed up with competitors’ geofence. Customize as much as you can - SMS geofencing works with pre-programmed messages, and it can be hard to get creative with mass SMS texting. However, one thing you can do is to segment people into different target groups. Thus, you will be able to customize your messages based on specific categories such as age or gender. Don’t fence only near your location - geofences are usually built in the nearby location of the store. Yet, this is not the only way geofencing works. You want to fish where the fish are, so create fences in places where you believe your customers are. Try to engage them as much as you can. Remember about the timing - texting services don’t work until they are using a correct timing. 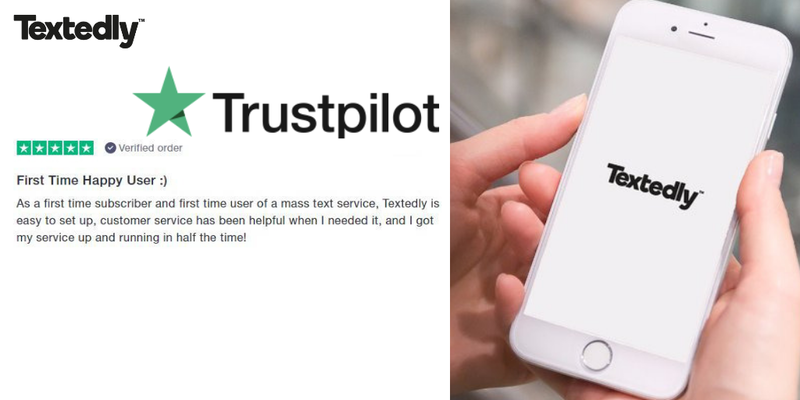 Determine the best time to send a text message to your customers. A geofence is not just a spot on the map, but also a place in time. So before you notify your customer to take an action, know that when you do it is as important as where you do it. Geofencing gets together the physical world with the world of data and numbers. SMS geofencing enables you to enhance your store’s sales and helps your business reach its goals faster and easier.